Delegate the management of your luxury property to us so that you can relax and enjoy the pleasures of your beautiful villa. 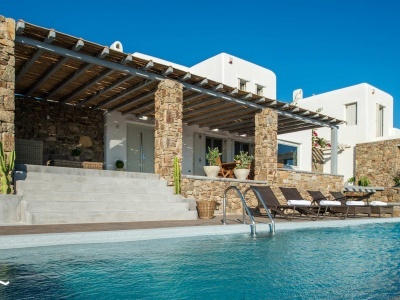 Especially our team of professional partners offers a range of villa management services that will cater to your every need. It will be our pleasure to manage your villa and provide services such as staffing, marketing, service standards, contracts, security and maintenance. Complete financial packages are available for the maintenance of your property. Moreover the packages include tracking of all incoming and outgoing funds. Consequently, we provide monthly cash flow statements to the villa owners. Hence the management of your property consists a responsible process for our staff. As every property is different, we insist on maintaining constant personal contact with clients to discuss any specific requirements they might have. In addition we guarantee that your investment is well maintained and it will stay in prime condition under our management and supervision. Housekeeping, maintenance & landscaping services. Frequent inspections of your property. Complete Service Packages that cover all of your property’s requirements. The most competitive rates on the island. Direct representation & continuous presence on the island.